The place where you can find amazing stories about anything. In Norse mythology, Ragnarök is a series of future events, including a great battle foretold to ultimately result in the death of a number of major figures (including the gods Odin, Thor, Týr, Freyr, Heimdallr, and Loki), the occurrence of various natural disasters, and the subsequent submersion of the world in water. Afterward, the world will resurface anew and fertile, the surviving and returning gods will meet, and the world will be repopulated by two human survivors. 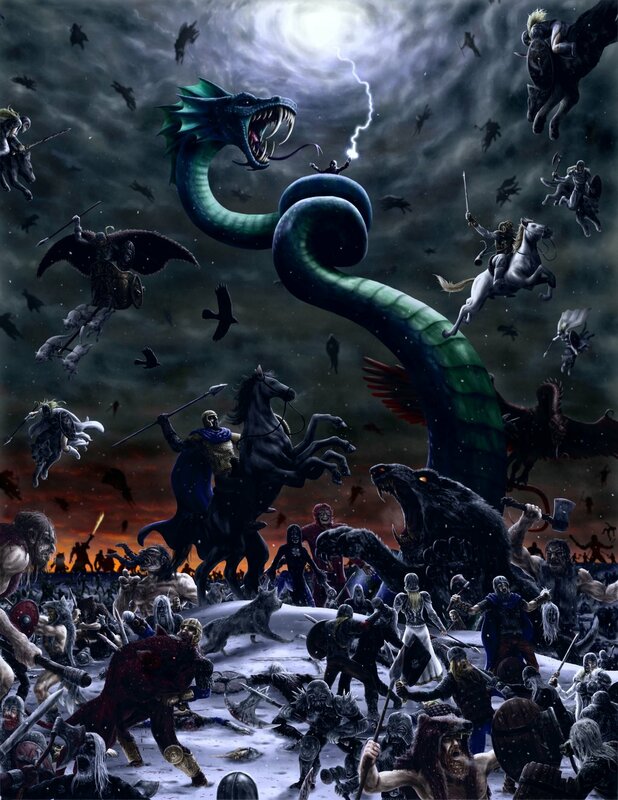 Ragnarök is an important event in the Norse canon, and has been the subject of scholarly discourse and theory. The event is attested primarily in the Poetic Edda, compiled in the 13th century from earlier traditional sources, and the Prose Edda, written in the 13th century by Snorri Sturluson. In the Prose Edda, and a single poem in the Poetic Edda, the event is referred to as Ragnarök or Ragnarøkkr (Old Norse "Fate of the Gods" and "Twilight of the Gods" respectively), a usage popularized by 19th-century composer Richard Wagner with the title of the last of his Der Ring des Nibelungen operas, Götterdämmerung (1876).